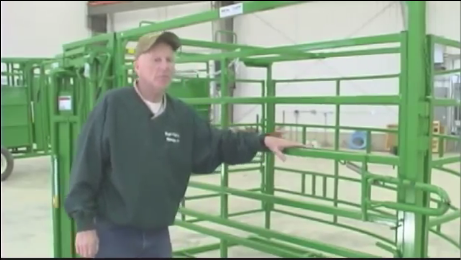 Video Demonstrations of Livestock Portable Handling Equipment from Real Tuff and more. Real Tuff’s video demos of equipment have been paramount to our success. Please view the videos below as Dave explains each piece of equipment in detail. 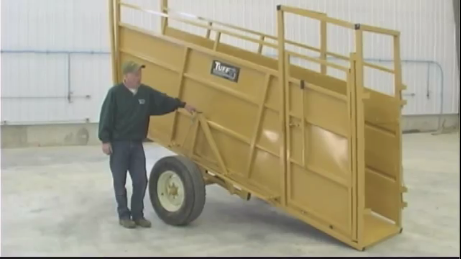 The Livestock Portable Handling Equipment video tells everything you’d want to know about our chute, alley, and tub. Many customers watch the videos multiple times to get a feel for our equipment. When possible, we suggest visiting a dealer to see the equipment in person. However, even customers who have never experienced our equipment in person are pleased with their ! At Real Tuff we strive to keep up with current trends and adapting to changing customers needs. Please keep in mind that the equipment shown in these video may have been updated or slightly changed since filming to meet our customers needs. 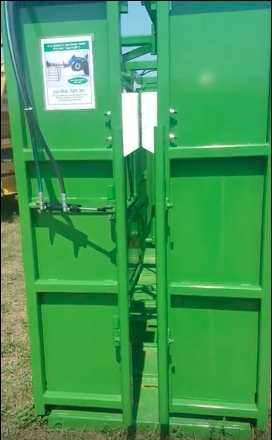 Video to the right shows the Real Tuff portable handling system demonstrating the Squeeze Chute, the Adjustable Alley and the No Corner Tub. The Squeeze chute, the Adjustable Alley and the No Corner Tub can be d individually or as a portable unit. Video to the right shows the Real Tuff Hydraulic Chute. 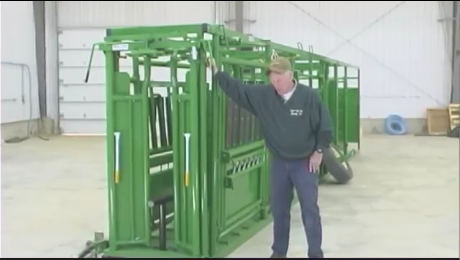 Video to the right shows the Real Tuff ¼ Circular Maternity pen. Video to the right shows the Real Tuff Hoof Trimming Chute. Video to the right shows the Real Tuff Loading Chute. Video to the right shows the Head Gate Helper Option. Click here to read reviews of Real Tuff Equipment by farmers just like you. Contact us with your questions or to receive a quote on equipment.